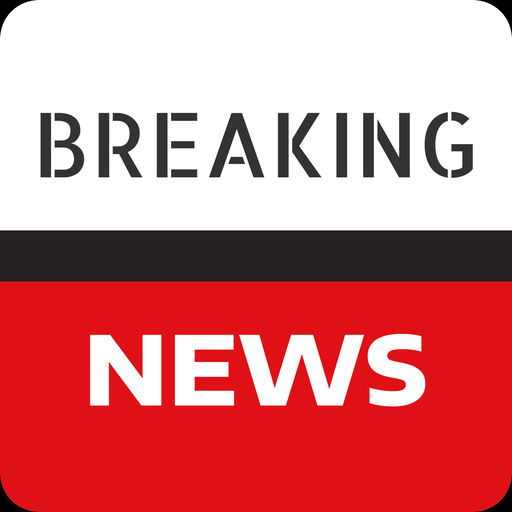 Breaking News stories appear in real-time as it happens. 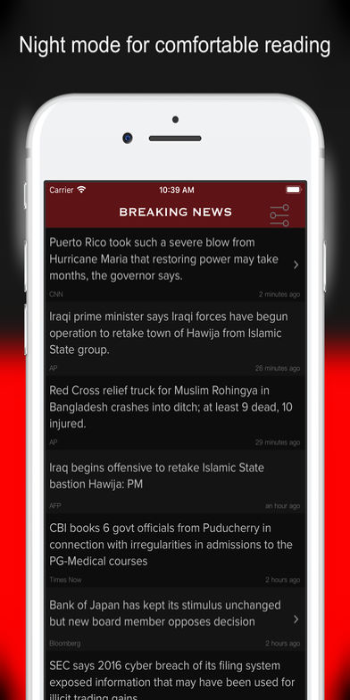 Breaking News App, the fastest source of reliable reporting in the world. Trusted by the largest community of people around the world, wherever you go. No registration required. 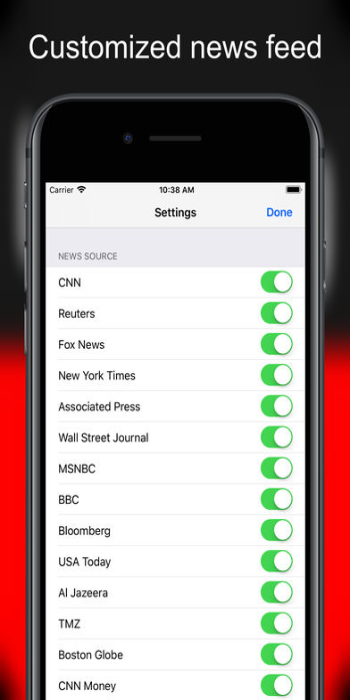 Customize news source from "Settings". Hear what interests you. Get notified by push notification as it happens. 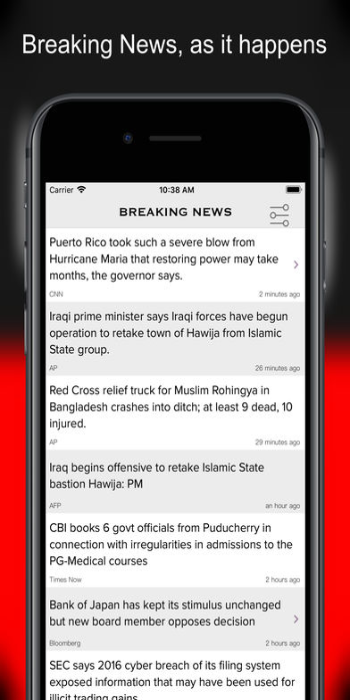 App delivers breaking news from major news source around the world like CNN, Fox News, Reuters, NYT, CNBC, Fox Business, CNN Money, BBC, WSJ, MSNBC, USA Today, AP in real time on your devices.